Preheat the oven to 350°. Line 2 large rimmed baking sheets with parchment paper. In a large bowl, toss the rolled oats with the coffee, both sugars, both flours and the salt. Using a box grater, shred the frozen butter into the bowl, then toss to mix. Stir in the porter and molasses until evenly coated. Spread the mixture on the prepared baking sheets. 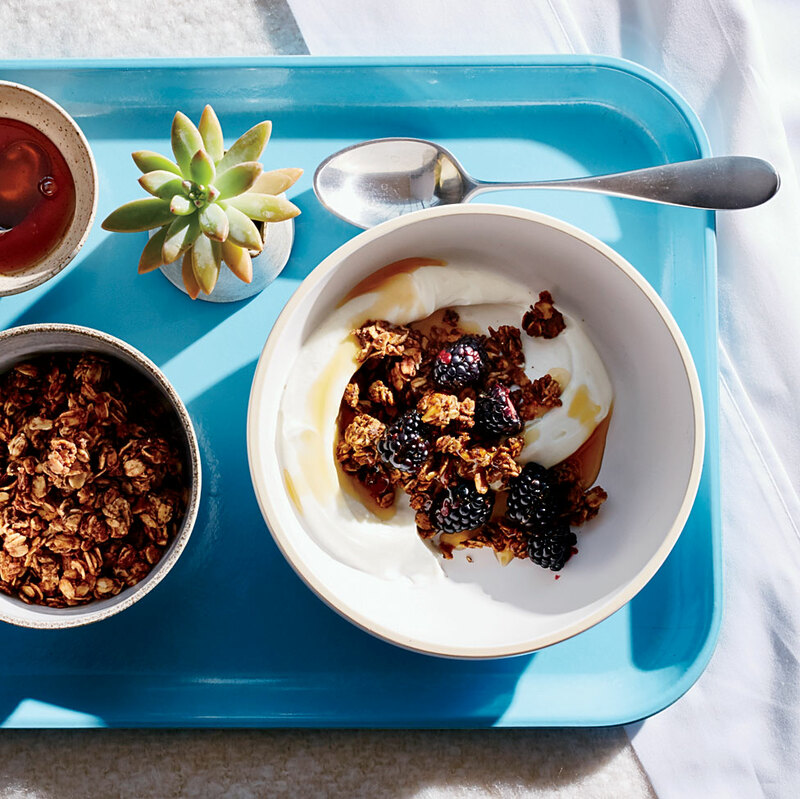 Bake the granola for about 30 minutes, stirring every 8 to 10 minutes, until golden and nearly crisp. Let cool completely, stirring occasionally. The granola can be stored in an airtight container for up to 3 weeks. Review Body: Made last weekend,great way to start the day .